Mormonism has become widely spread throughout the United States and around the world. 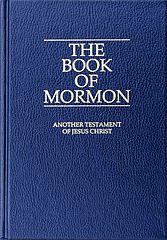 Mormons are often compared to the Baptists for their remarkable similarities in their beliefs about baptism, the atonement, and the Second Coming, which are the teachings of traditional Christianity. However, there are key differences that are clearly seen when we look into their practices and their doctrines. Baptists are people who belong to a denomination, or movement, of the Christian Church. They share beliefs with the Christians, such as salvation being the deliverance from sin and a free gift from God. They also believe that there is only one God which exists in three persons: the Father, the Son, and the Holy Spirit. Baptists, or “Christians,” as they call themselves, practice the doctrine of the believer’s baptism, contrary to the traditional infant baptism. This means that baptism should be done only by those who profess their belief in God. Mormons are people who follow Mormonism – a cultural and religious group founded by Joseph Smith. Individuals that are associated with this group are also called Latter-day Saints. They identify themselves as Christian because they have many of the same teachings as the Christian churches. They believe in the Bible and the importance of family. Following a strict health code, they do not drink coffee, alcohol, or tea. Also, they do not smoke. They have another doctrine, laid out by The Book of Mormon, which they believe to be the companion to the Bible. According to their founder Joseph Smith, it discloses things that have been deleted from the Bible. Mormons also have a distinct way of perceiving how the universe began. They believe that God was the Supreme Being but did not always hold that position. He was less powerful when he first came to earth, and through experience and living a righteous life he reached the state of Godhood. Furthermore, all individuals are “spirit children” of God and have received bodies here on earth to go through hardships, to learn, and to experience happiness. When people die, they each are meant to be accepted into different kingdoms of glory. To achieve this, one must accept Jesus Christ, repent, and be baptized. So what is the difference between Baptists and Mormons? The major differences are seen in their doctrines and their beliefs. 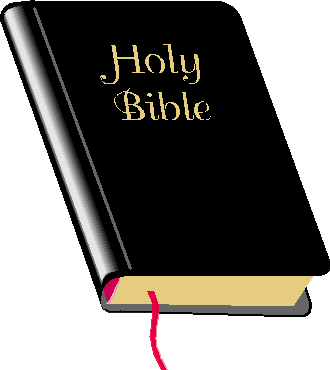 Baptists believe and follow the teachings of only one authority, which is the Bible. Mormons, on the other hand, read the Bible in conjunction with the Book of Mormon. They believe that only then will they find happiness in life. While both groups believe in God, Mormons believe that God exists in three separate persons – the Father, the Son, and the Holy Ghost. Baptists believe that there is only one God which exists in three simultaneous persons – the Father, the Son, and the Holy Spirit. They know God to be of spirit, not of flesh and bones, while Mormons know Him to be like man, one of flesh and who lived like the rest of us. He was then exalted to “Godhood” after he lived a righteous life. Both Mormons and Baptists practice baptism by immersion, as opposed to the Catholic practice of sprinkling with water, as in an infant baptism. However, Baptists believe that baptism can only be done to those who have accepted Jesus Christ as their Lord and Savior. Therefore, baptism should be voluntary. It is symbolic but is not necessary for salvation. The Mormons, on the other hand, practice the belief that individuals be baptized after the “age of accountability,” which is eight years of age. They view baptism as symbolic as well as essential for salvation. One cannot be accepted as a member of the Mormon faith unless he is baptized.